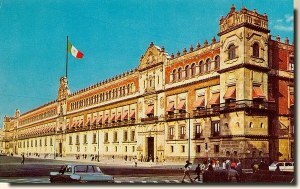 The National Palace, or Palacio Nacional in Spanish), was the seat of the federal executive in Mexico. 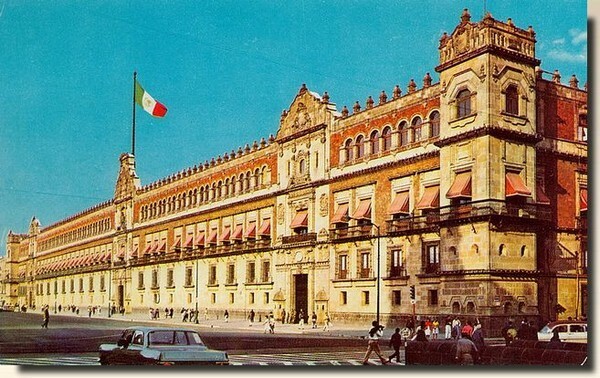 It is located on Mexico City's main square, the Plaza de la Constitución (El Zócalo). This site has been a palace for the ruling class of Mexico since the Aztec empire, and much of the current palace's building materials are from the original one that belonged to Moctezuma II.